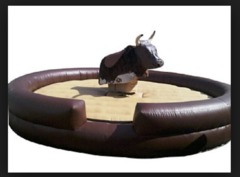 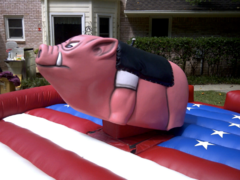 OhioPartyBull.com has a great reputation in Ohio for awesome high quality mechanical bull rentals. 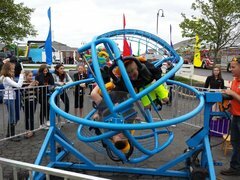 Our bulls have entertained attendees across the state, and we also have the largest selection of mechanical ride variations. 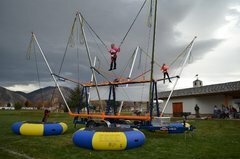 You can also choose from the popular Bungee Trampoline or the spacey Gyroscope! 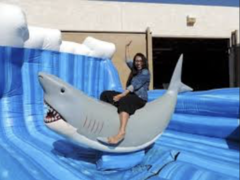 Browse the selections below and click on the image or the "more Info" link to get additional information and to make a reservation.